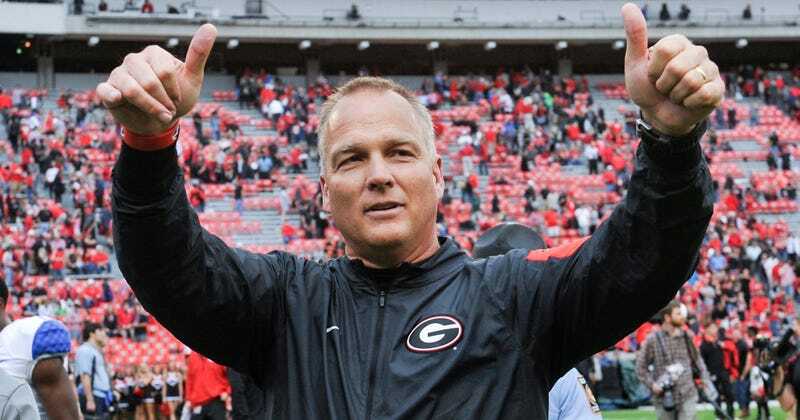 According to numerous reports, former Georgia Bulldogs head coach Mark Richt will be the next coach of the Miami Hurricanes. The news was first reported by Canes Insight. Richt spent 15 seasons at Florida State (and one at East Carolina), rising from a graduate assistant to offensive coordinator and Bobby Bowden’s right hand man. He left in 2001 to become Georgia’s head coach, and how well he did there depends upon what you think the expectations were. He won two SEC Championships, the last in 2005, and six SEC Eastern Division titles. His teams finished in the top 10 of the final AP poll six times. But 10 years without an SEC title, and three years without winning the (much weaker) SEC Eastern division was deemed not good enough, and he was fired last weekend. The Bulldogs went 9-3 this season, and will be heading to a mid-tier bowl. Coaching at Miami serves as a homecoming for Richt, who went to high school in Boca Raton and played quarterback (behind Jim Kelly) for Miami in the late 1970s. There is no reason he shouldn’t be successful. Miami hasn’t been particularly good since Larry Coker was the coach in the early 2000s, but South Florida remains one of the country’s high school football hot beds, and Miami still has some of the allure of one of college football’s great programs. There is also the benefit of playing in the ACC.